Starry-eyed revellers in for a cosmic treat! A universe of wonders at Kielder Castle! A battery of powerful telescopes will be deployed at Kielder Castle to reveal the wonders of England's darkest skies. Starmaker astro guides are staging a special event to mark the first anniversary of the creation of the Northumberland International Dark Sky Park. It takes place on 9 December from 7.30pm. Eager night owls will be treated to heavenly wonders ranging from sparkling star clusters to distant galaxies and the stunning Milky Way. 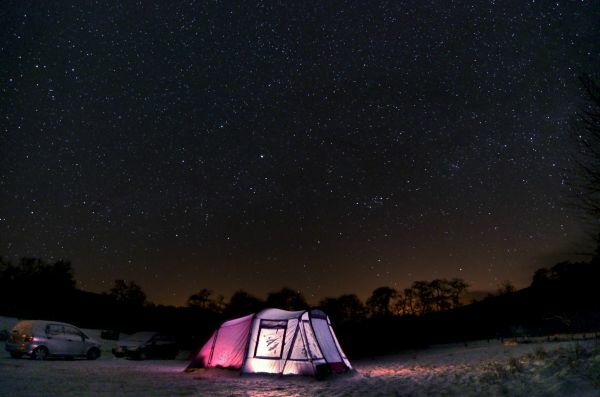 The Starmakers initiative will see over 40 events staged before the year's end in Northumberland International Dark Sky Park and the North Pennines AONB. The event is perfect for novices and will feature colourful talks with magnificent pictures and videos taken under our starry skies. The 570 square mile dark sky park was designated in December 2013 by the US-based International Dark Skies Association. Tickets cost £7.50 for adults, £5 children. Bookings can be made via the Northumberland National Park website www.northumberlandnationalpark.org.uk (see Starmaker events link on the home page). Any problems call Rob Ince on 07511 403702. The event begins at 7.30pm and goes ahead in all weathers! Media calls: Richard Darn on 0775 367 0038. Starmakers is part of the Animating Dark Skies project, supported by The Rural Development Programme for England, for which DEFRA is the Managing Authority, part financed by The European Agricultural Fund for Rural Development: Investing in rural areas. It is match funded by Northumberland County Council, Northumberland National Park Authority, Kielder Water & Forest Park Development Trust, the Forestry Commission, Northumbrian Water, Kielder Observatory, the North Pennines AONB Partnership, Durham County Council and Newcastle University together with support from Northumberland Tourism.